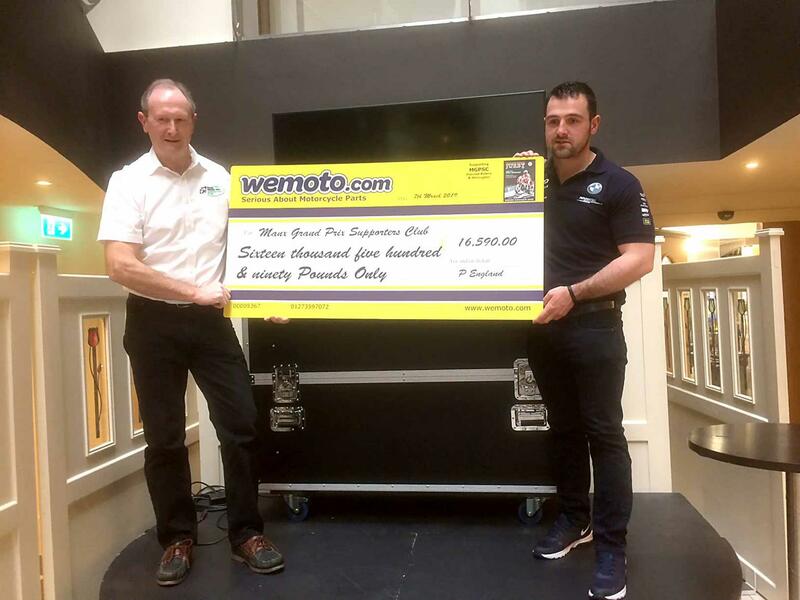 OEM and pattern motorcycle parts specialists Wemoto are raising money for the Manx Grand Prix Supporters Club with charity T-shirts, to help fund their life-saving helicopter ambulance service. This aerial support is used during the road racing festival, located on the Isle of Man in late August, to provide vital medical assistance to those involved in major incidents around the circuit. Part of the money will also be used support injured riders and their families, too. Recently announcing their 2019 T-shirt design, which depicts a vintage racer at Kate's Cottage on the TT course, each garment is just £10 each. All profits raised from every shirt goes towards supporting the club. 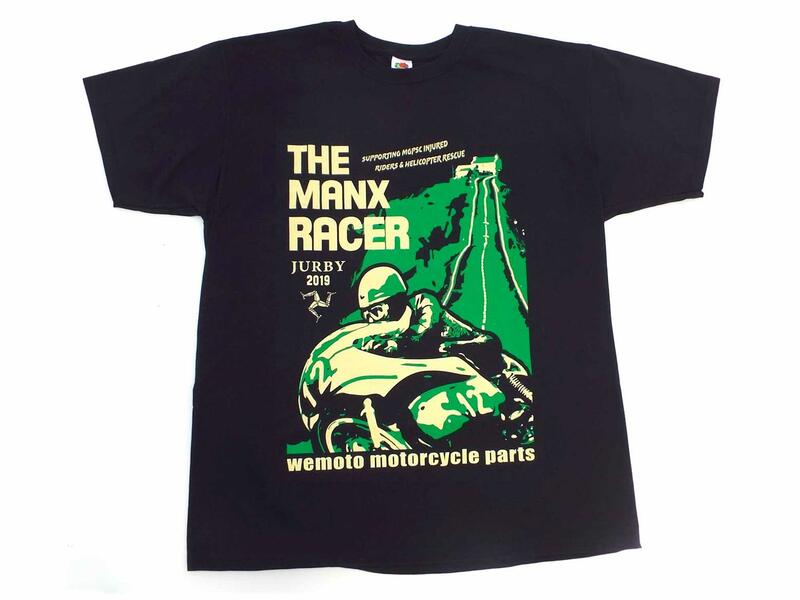 Wemoto began raising money for the Manx Grand Prix in 2015 with a series of 'Festival of Jurby' tees and have since collected over £65,000 from various designs. More recently, the parts firm handed over a cheque for £16,590 to the club, during the launch of the 2019 Isle of Man TT races on Tuesday, 19 March. In a press release, a spokesperson for the company said: "Now that its fourth fundraising year is complete, Wemoto is happy to announce that it has surpassed the £50,000 mark and has now raised £65,000 for the charity in total. It is grateful to everyone who has bought a T-shirt over the years and to those in the industry who’ve helped support the cause." If you want to support the cause, T-shirts are available to buy at online or in limited numbers at this year's Festival of Jurby.